Apple CEO Tim Cook is expected to unveil a new iPhone lineup on Wednesday, and it's virtually guaranteed to be a success. But that may not be his most important announcement. Much bigger news for Apple's business this week could be the long-rumored giant iPad. IPad sales have fallen for six straight quarters (and in seven of the past nine quarters). The general downward trend for the iPad -- and tablets in general -- has occurred largely as smartphone screen sizes continue to get bigger. Publicly, at least, Apple doesn't appear too worried about the iPad. Cook has noted that the number of people who say they want to buy an iPad and still haven't purchased one is large. And the big iPhone 6 Plus is selling well. So while the iPad is slumping, that's at least partially because of Apple's own gadget. Yet that also makes Apple even more reliant on its smartphone. The iPhone now makes up nearly two-thirds of Apple's sales, up from just over half a year ago. That's where the "iPad Pro" (or iPad Air Plus, or whatever it'll be called) comes in. A device that fits between the iPad and a Mac could be a compelling gadget that the iPhone couldn't cannibalize -- and particularly interesting to a segment of customers that Apple has been targeting lately. Related: What will Apple announce on Wednesday? Apple has struggled to get its computers into the workforce. Only 29% of corporations have at least one Mac in their offices, according to Spiceworks, an online network of millions of IT professionals. IPads and particularly iPhones have a much larger presence in the corporate world, but they haven't been deployed in full force like Windows-based laptops and desktops have been. In an effort to jumpstart its business presence, Apple has struck recent partnerships with IBM (IBM) and Cisco (CSCO), hoping to piggyback on their strong relationships with corporate IT departments. Apple has also added some much-needed productivity capabilities to its new iOS 9 software, including cursor control and the ability to run two apps side-by-side. The rumor is a big iPad will have a 13-inch screen. If used with a stylus, such a device could be a powerful tool for business professionals. It would go head-to-head with Microsoft's (MSFT) suddenly popular Surface, which offers customers a full Windows 10 PC in a tablet form, along with a cover that doubles as a keyboard and a digital pen. For people who don't need the power of a full PC but still want a big screen for getting work done, the iPad Pro could be a good choice. 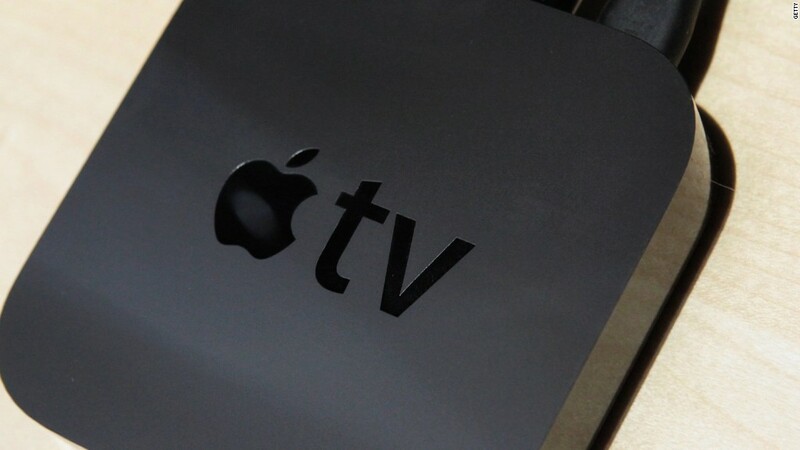 Apple is expected to unveil other product news on Wednesday, including updates to its Mac and Apple TV lineups. And the recent upgrade of the Apple Watch operating system could help boost sales for the holidays. But the iPad -- Apple's second-best selling product -- could have a chance at a turn around. The iPad Pro could help.